The no-age-statement whisky, produced at Knockdhu distillery in the village of Knock in Aberdeenshire, takes its name from peat bogs surrounding the area. 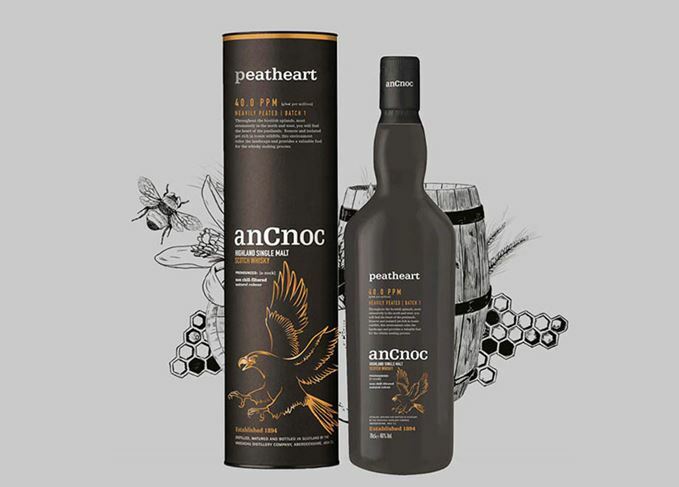 Made using barley peated to 40ppm (phenol parts per million), anCnoc Peatheart is described as ‘intensely smoky’ with notes of leather, stewed apples and chocolate. Peatheart’s launch follows the culmination of the brand’s Peaty Collection, a series of limited edition single malts celebrating the traditional tools used to cut peat. A spokesperson for the brand told Scotchwhisky.com the change was made to ‘fall in line’ with industry standards.